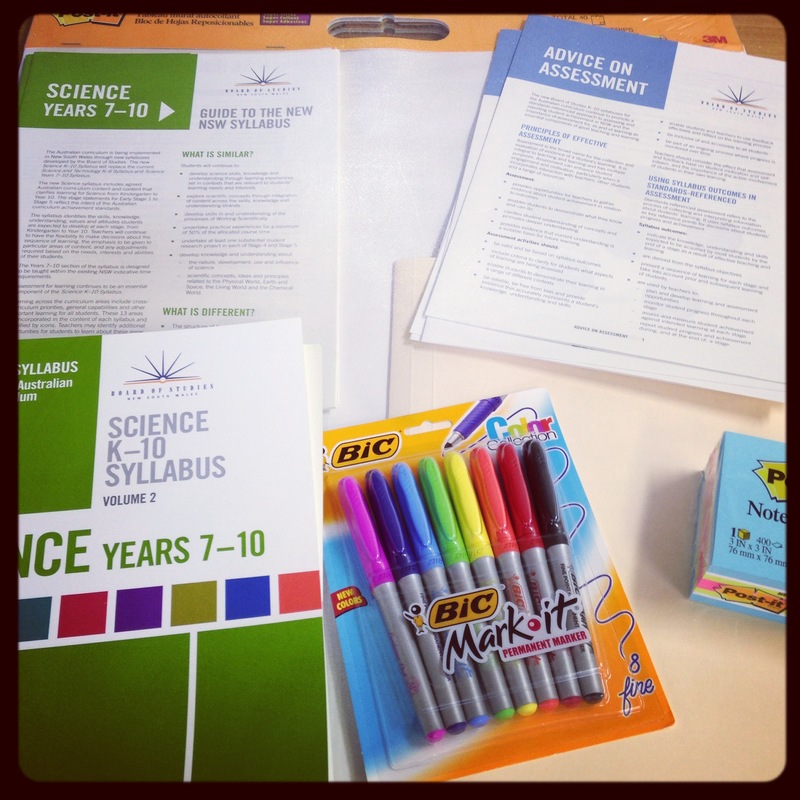 I led my science faculty in using structured observed learning outcomes (SOLO) to design learning for the new NSW science syllabus over the past two days. Like all other NSW schools, we are spending this year preparing for the implementation of new syllabuses for the Australian Curriculum. As a faculty we felt that this was a great opportunity to evaluate the effectiveness of our current teaching and learning practices. We are using the new syllabus as a driver of change in teaching and learning. 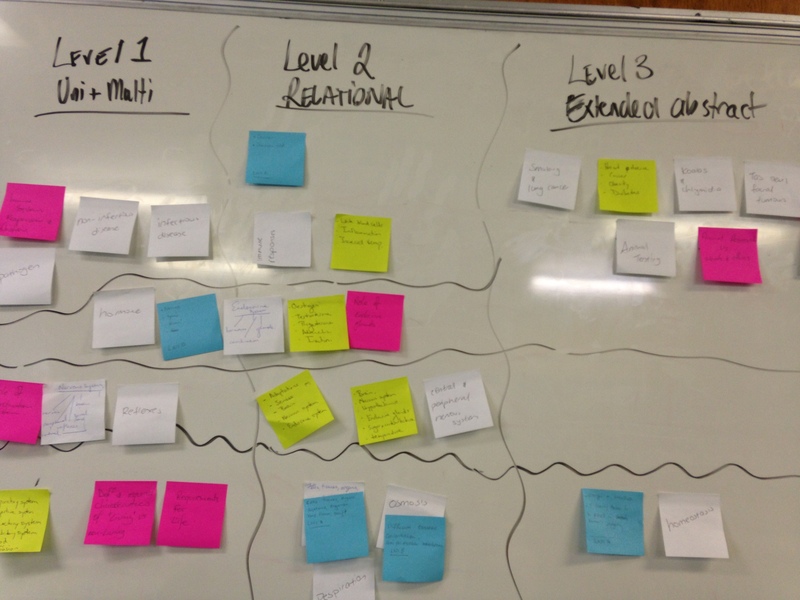 We decided to use SOLO as the framework to design learning for the new syllabus. Why did we choose SOLO? One of the main reasons is that the Essential Secondary Science Assessment (ESSA) uses SOLO to assess students’ understanding. ESSA is a state-wide science assessment that is completed by all Year 8 students from NSW government schools. An analysis of the trend data shows we needed to work on moving students from being able to recall scientific information to making relationships with this information and then applying this information to real world situations. 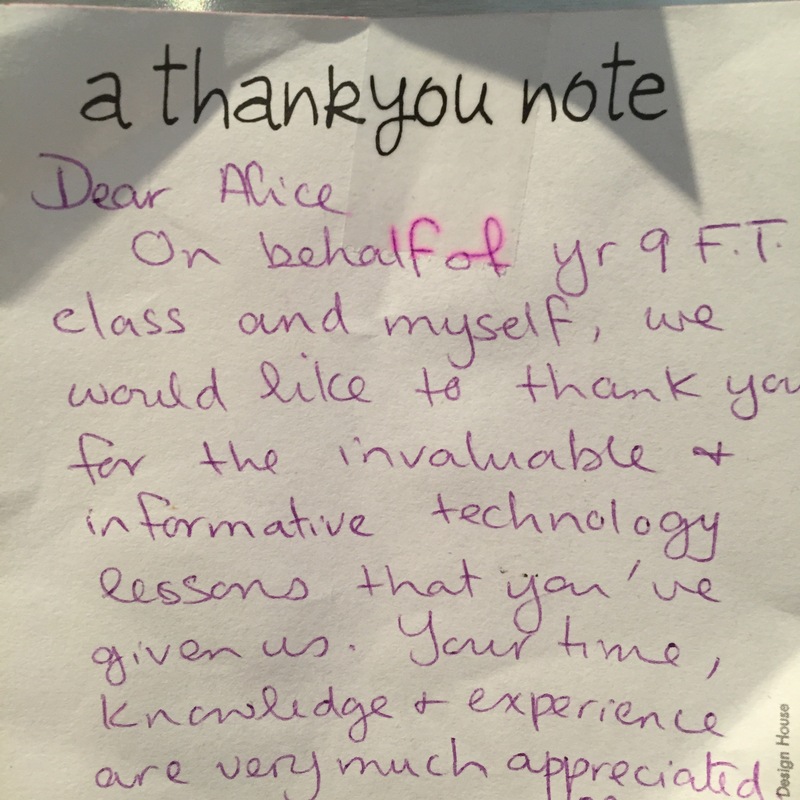 Another reason why we chose to use SOLO is because it makes learning visible to students and teachers when it is accompanied by learning intentions and success criteria. Learning intentions and success criteria help students focus on the purpose of learning activities rather than just merely completing work. They also help enhance students’ self regulation. We started the two days by analysing where our students currently are and where we want to move our students in their learning and achievements. Why SOLO was explored. We used a KWHLAQ table to do this. We decided to program a unit on human health and diseases first. We familiarised ourselves with the relevant sections of the syllabus and brainstormed all the concepts, ideas and facts that students needed to understand. Individually we wrote each concept, idea and fact onto post-it notes and stuck them on the whiteboard. As a team we sorted the post-it notes into logical categories. We assigned SOLO verbs for each concept, idea and fact. We created learning intentions and success criteria based on the verbs for each category. We split up into three teams to design teaching and learning activities that will allow students to meet the success criteria. We also designed an assessment task gives students an authentic context to learn this unit. It will be great to get some feedback on how we are going so far in using SOLO to design learning.